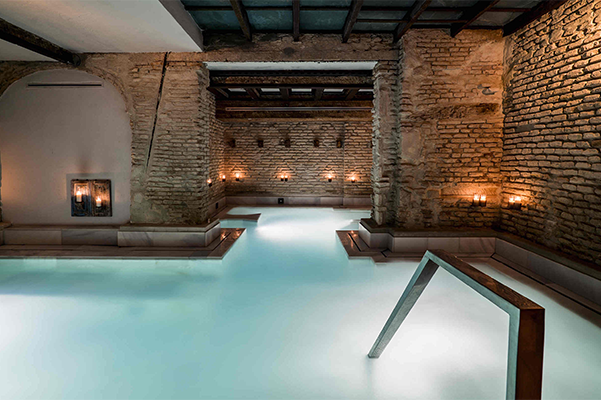 Hamam or the steam room was first used in the Roman period and was later taken by the Turks, as they responded best to purification requirements. 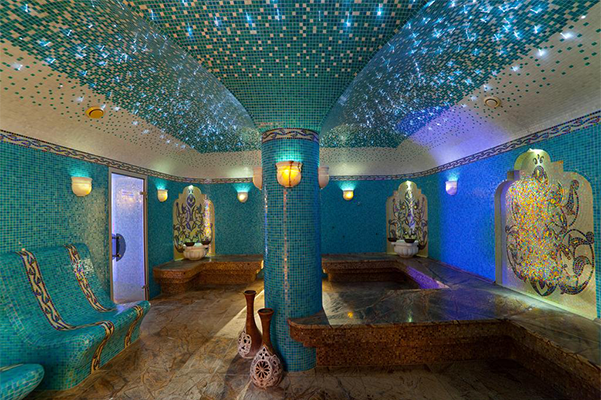 Unlike the sauna, the humidity level of the hammam is 100%. In addition, it is often accompanied by an icy bathroom. 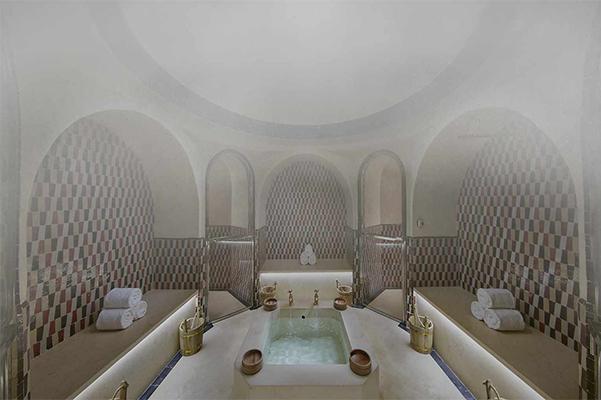 The hammam temperature can reach up to 50 °C. Often recommended by doctors, the hammam makes it possible to open your skin pores as well as to eliminate bacteria and toxins. Moreover, it releases sinusitis and nose pathways, relieves muscular pain and alleviates the respiratory tract. 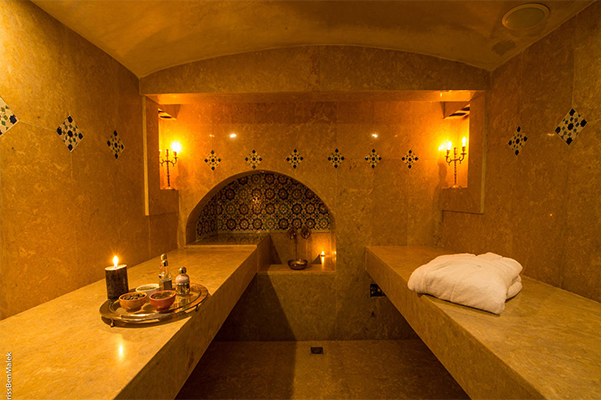 Naturally, the hammam does not cure the flu, but it affects the calming of its symptoms. Persons suffering from hypertension should be cautious, they must consult with their doctor before going to a Turkish bath. Physical and emotional detoxification. It reduces stress, anxiety and allows a deep relaxation. It adorns the body and the face. It removes dead cells from the body, opens the pores while eliminating skin toxins. It fights acnes. It helps wound healing and redness reduction. It nourishes and hydrates the skin; It provides essential vitamins and minerals. Anti age. It helps toning, strengthens the skin, increases elasticity. It lower muscle tension, reduces muscle pain and rheumatism. More comfortable sleep and it helps resuscitate the body during sleep. It helps the immune system and activates blood circulation. It connects the body with mind. More energy and balance. Beauty sensation. Freshness sensation and total body regeneration. 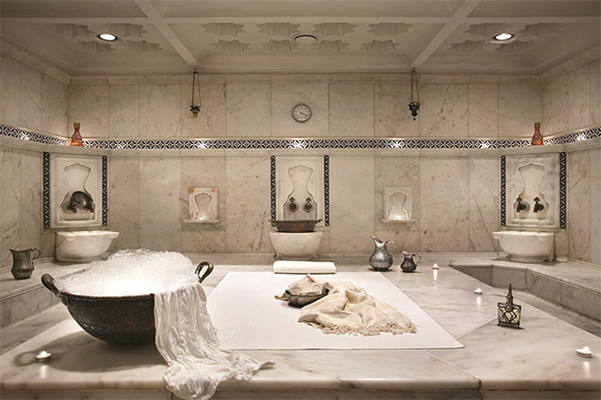 HAVING A HAMMAM IN HOTELS & RESORTS, IT INCREASES THE VALUES OF YOUR SPACE.